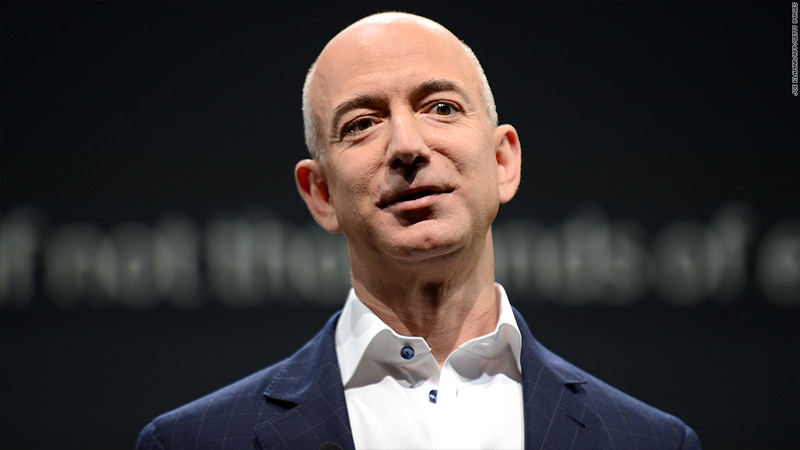 Amazon CEO Jeff Bezos led a $5 million funding round of Business Insider. Once again, Business Insider founder Henry Blodget is getting a boost from Amazon. Jeff Bezos, the CEO of Amazon (AMZN), led a group of investors in a $5 million funding of Blodget's financial blog Business Insider. Blodget told staffers in an internal memo that Bezos' individual investment is a "significant" portion of the total. Bezos' vote of confidence in Business Insider comes 15 years after Blodget, a stock analyst at the time, made a bold call on Amazon. He predicted Amazon's stock would shoot past $400 per share -- almost double its level at the time. Amazon stock did hit that price target mere weeks later, and Blodget was hailed as a visionary. Five years later, he was kicked out of the industry after being charged with securities fraud. Blodget reinvented himself as a publisher, launching Business Insider's first iteration in 2007. The site generally publishes short, quick-to-the-draw posts on stocks, technology and company news, as well as non-financial topics like sports. Business Insider plans to use this latest round of capital "to invest aggressively in many areas of the business, including editorial, tech/product, sales and marketing, subscriptions, and events," as well as office expansion, Blodget said in his memo. Bezos and Blodget discussed a potential investment over dinner in 2012, and Blodget said Bezos "sees some parallels" between Amazon and Business Insider. In turn, Blodget wants Business Insider to mirror Amazon's "obsession with customers and long-term focus."